What’s new in the latest Firefox 48 update? What's new in the latest Firefox 48 update? 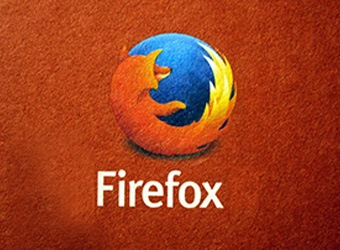 Mozilla, the company behind the popular Firefox Internet browser, has launched the Firefox 48 for Windows, Mac, Linux and Android. The update provides the long-pending multi-process support but drops the support for some old versions of the operating systems. The latest version packs in media improvements on Android and offers enhanced protection against harmful downloads. The new multi-process support will prevent the tabs, buttons and menus from locking up when users open a web page that consumes a large part of the computer's processing power. This means users will face less lag and fewer browser crashes. This feature will be enabled in Firefox 48 slowly; it will be initially be available to 1% users and will be provided to more users if things go as expected, the company said. Firefox has also made some tweaks in the browser design; the address will now show more suggestions based on the keywords and a wider view of the suggestions for an enhanced view. The discovery pane has been redesigned with a cleaner image and text. Add-ons installation has been made easier for a more customised experience. The update includes a few improvements from a security point of view. This is based on Google's Safe Browsing service, which provides lists of URLs that contain malware or phishing content to Chrome, Firefox and Safari browsers, as well as to Internet Service Providers. The first category that has been introduced is called potentially unwarranted software, to flag software that makes unexpected changes to your computer. The second category, uncommon downloads, covers downloads which may not be malicious or unwanted but that are simply not commonly downloaded. The purpose of this warning is to draw users' attention to the fact that this may not be the download they think it is. The firm will also roll out rebooting bookmarks improvements that was introduced last year. This means your reading lists and synced tabs' list will merge into the history panel. With this your reading list items will be available across devices alongside your bookmarks, in order to give an easier access to your content no matter what device you're using. The updates are worth noticing, though it's too early to say whether these updates will improve the market share of the Firefox browser. Google Chrome is by far the most used browser and accounts for over half of web traffic, followed by Safari in the second place and Firefox in the third.